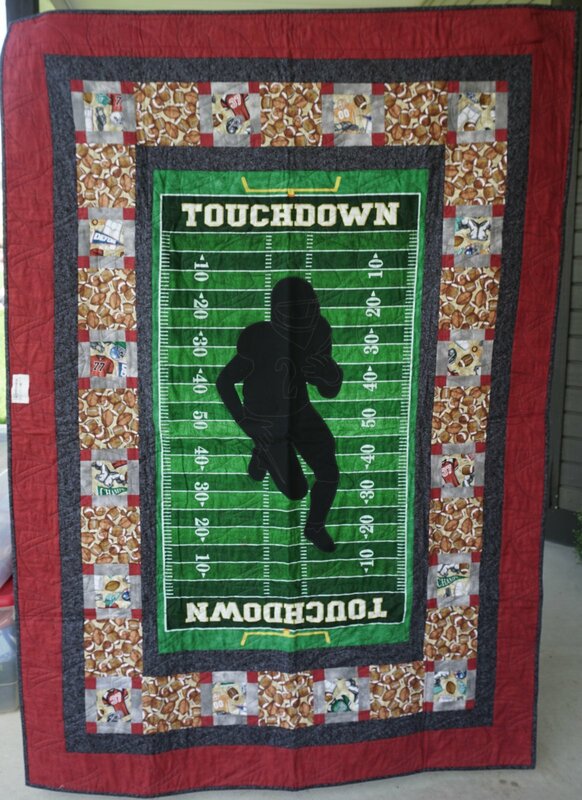 Great quilt for the football player or football lover in your family. The focus Touchdown panel is Quilting Treasures fabric and was framed with borders to compliment the silhouette. The quilt is complete with matching back, hanging sleeve, and long arm quilted edge to edge.